National Title & Tag LLC is a licensed and bonded agent of the Maryland Vehicle Administration (MVA) and provides the fullest array of service to our clients. Doing business for over 40 years in the public and private sectors, our wide variety of services will save your company time and money by expediting the complicated and often frustrating process of getting your company’s vehicles registered and on the road. National Title & Tag is electronically connected to the MVA and can directly issue your fleets license plates, registrations, interstate tags, provide title searches, and perform other essential services for efficient fleet management. Why spend your day at the MVA? It’s not the cost that discourages companies from obtaining proper and timely licensing for their vehicles. Sometimes it's just getting there. Why not let us do it for you? 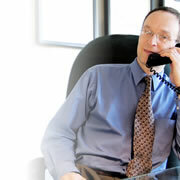 Our services will expedite the tag, title, and registration process, often, right over the phone. Or try the convenience of one of our Fred’s retail stores where our experienced staff can answer your questions and provide many of our services right on-site. And we service fleets of any size…whether a few…or a few thousand! Wouldn’t it be great if you never had to worry about the paperwork of your company vehicles anymore? Whether you are a small business owner or CEO of a large corporation, time is one of your most valuable assets. At National Title & Tag we understand that your or an employee’s time spent with calls or trips to the MVA could be more productive. Including the time your vehicles sit idly by waiting on lapsed or held up licensing. We have saved hundreds of companies thousands of dollars in lost productivity, citations, and penalties. Get the efficient personalized service that your company deserves. At National Title & Tag we take the time to get to know your business. Our consultative approach will ensure that all of your fleet needs are personalized enough to unlock employee and fleet productivity. Through our on-line links to the MVA and other state agencies you will never again be just another number waiting your turn in line. With over 40 years doing business in both the private and public sectors National Title & Tag has the experience your looking for. Our ability to anticipate your company’s needs in the areas of fleet management; licensing, tag and title registration, apportions, and even remarketing of vehicles will ensure your fleets’ compliance with the rules and regulations of the states you do business in. We are proud to serve some of the best-known fleets in business including; FEDEX, VERIZON, BFI, BALTIMORE SUN NEWSPAPERS, PETERBILT, ALLIED WASTE, DHL, and CARROLL FUELS. Small or large, we would be proud to serve your company too! Spend your time doing what you do best, running your business, and leave your automotive needs to us! National Title & Tag services commercial clients in Maryland, Virginia and Washington, D.C. It is our goal to handle all of your automotive needs with fairness and integrity, exercising the highest standards of ethical and professional conduct while transacting business on your behalf. To provide timely and responsive service, with full recognition of our obligation to you, our customer and the public you serve.